BATH, ON – The small community of Bath in Loyalist Township west of Kingston is home to Ontario’s newest craft brewery, with the opening this week of MacKinnon Brothers Brewing. The brewery – which was recently profiled by local website Your Business Here – was founded by brothers Ivan and Dan MacKinnon, and their cousin Ben Vandenberg, on farmland that has been in their family since 1784. 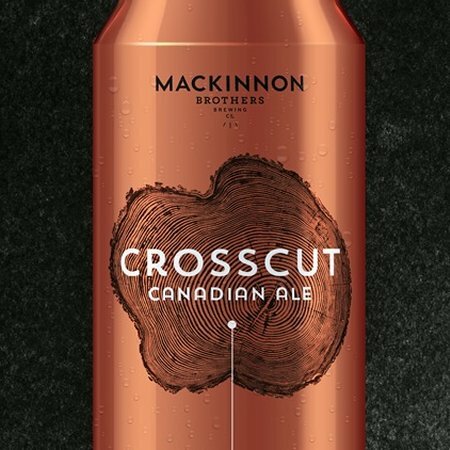 While it will be another month or two before the brewery tasting room and retail store is complete and ready to receive customers, MacKinnon Brothers will be debuting its flagship Crosscut Canadian Ale brand at Next Gen Sociable, a beer and whisky tasting event to raise funds for the United Way that takes place on Saturday May 18th at Four Points by Sheraton Kingston. Future brands from the brewery will include Lauchlin, a British/Scottish style ale, and Origin, a wheat beer. For more details, see the MacKinnon Brothers website, Facebook page and Twitter feed. Went to their website and they did a ton of work from the old barn to the underground concrete beer cellar. Looking forward to trying their beer. Just had a Crosscut beer with a meal in Napanee at River Pub last night. Really enjoyed the beer and meal. Looking forward to visiting the brewery.